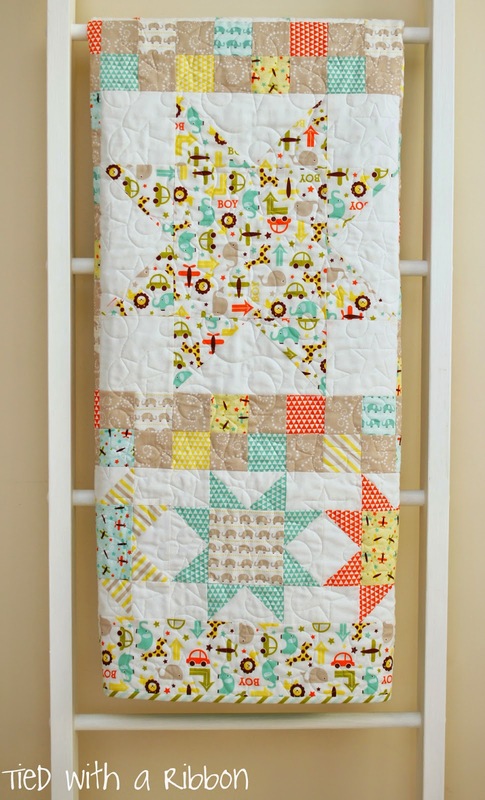 Tied with a Ribbon: Starstruck Quilt - new Quilt Pattern! 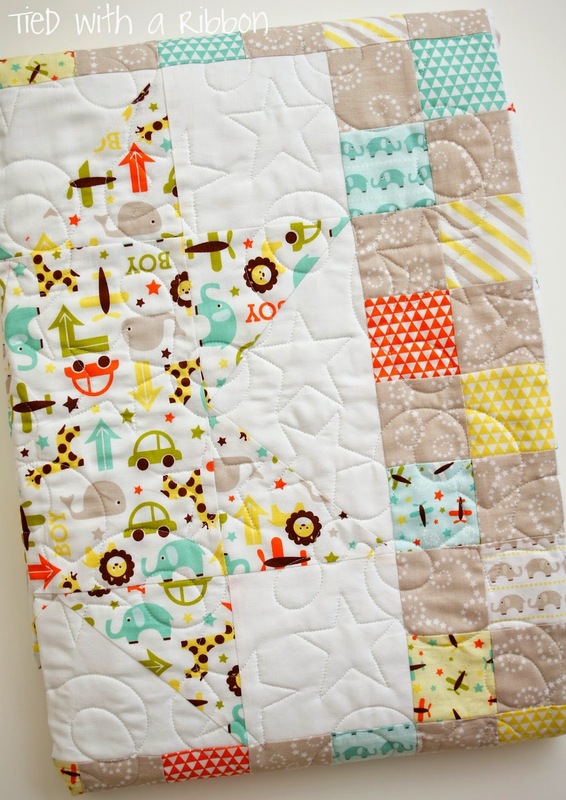 "Oh Boy" is certainly right - this fabric range by Lori Whitlock for Riley Blake Fabrics is a winner for the boys. I am really excited to release my new pattern Starstruck. 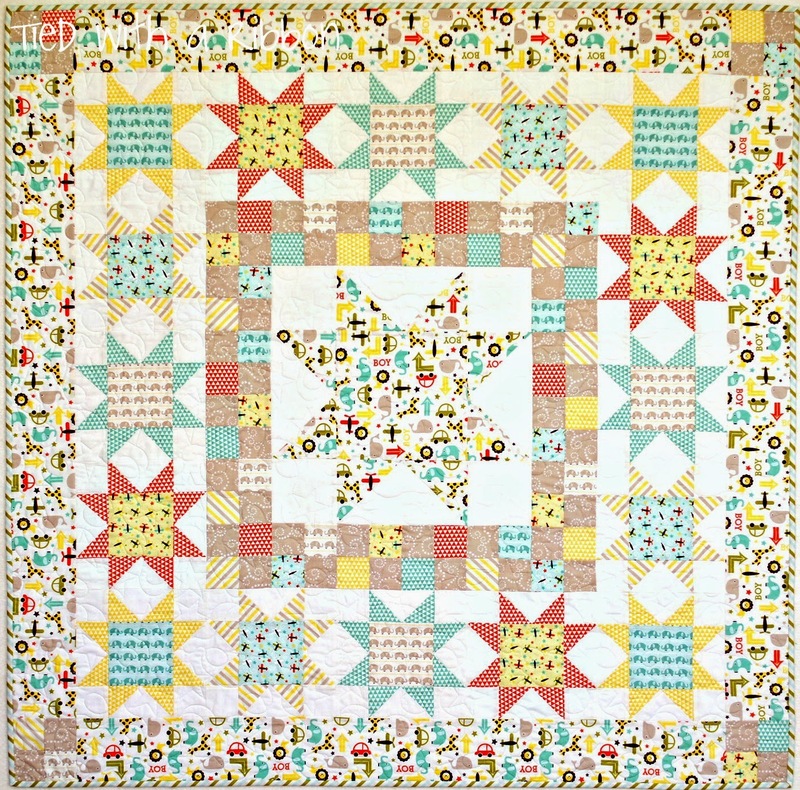 Starstruck is a quilt to show off and feature those wonderful patterned and feature fabrics you have been eying off or dying to use. 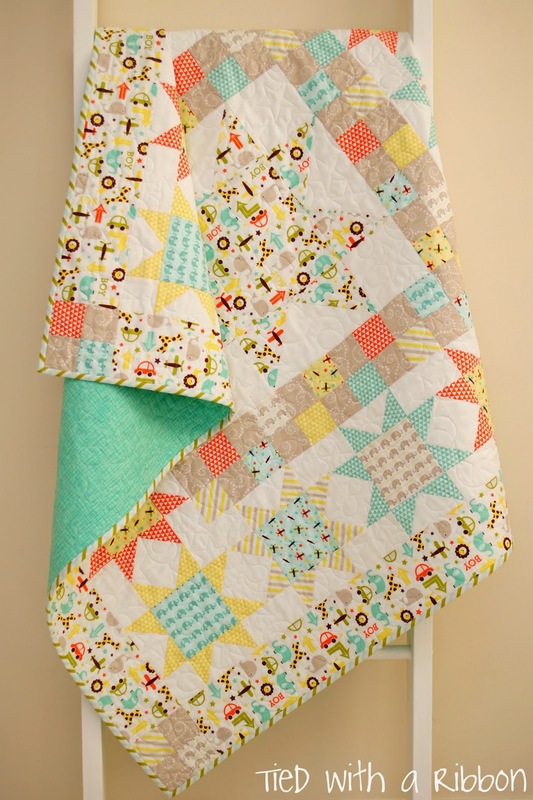 It is a fun and modern quilt pattern with the feature fabric or patterned fabric becoming the star of this quilt. 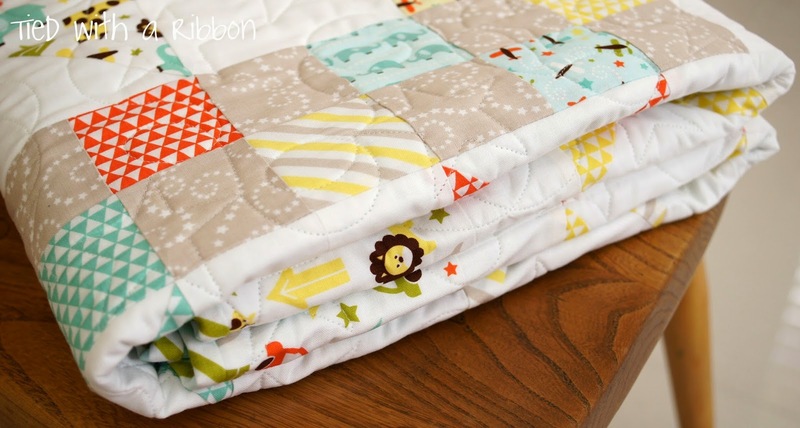 Whether you are after a quilt for a baby, girl or boy this quilt pattern will be just what you are after and very versatile to suit different fabrics, colours and patterns. 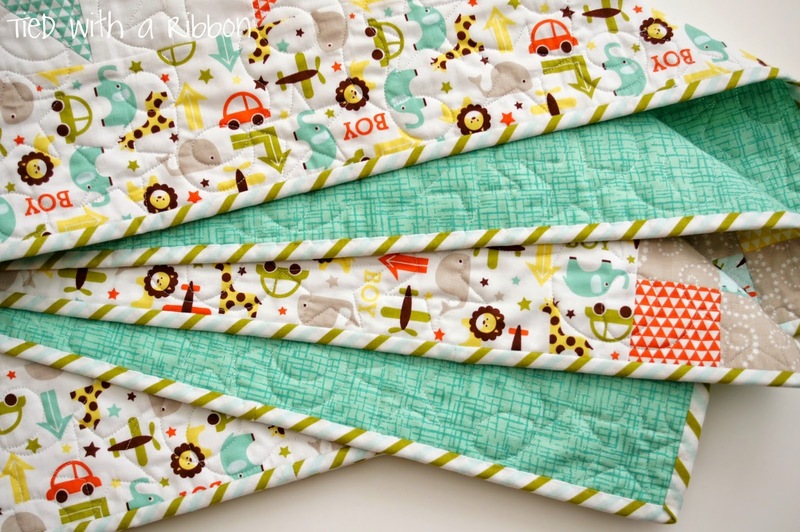 This fabric range has just the right mix of the cutest patterns with aeroplanes, animals and cars as well as great co-ordinates to go with it. The range is now available and I am sure it will be a hit. Etsy Store available for immediate download in PDF format. Happy sewing! This quilt I had long arm quilted by Carol over at The Quilting Cottage. 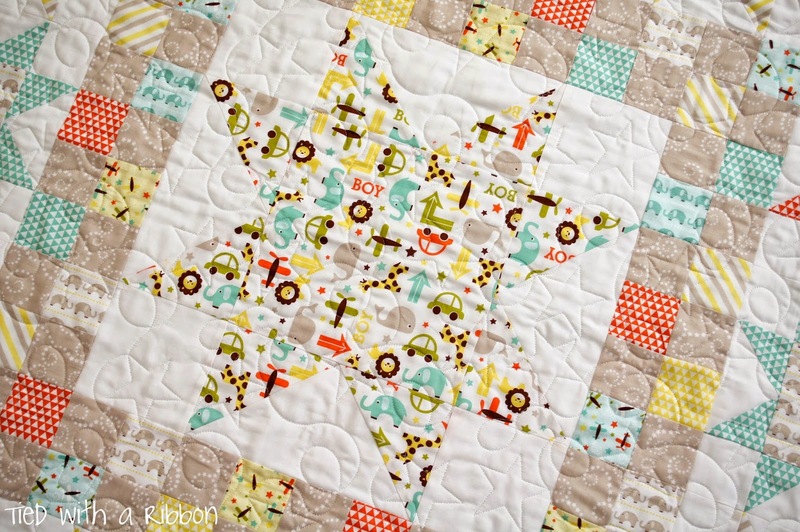 I love the stars and loops that add to the design of the blocks.